This. She's going to be the 'offering' the 'weapon' to kill the Night King. Good to have the show back again. Kinda still annoyed at some of the writing but whatevs. Just get the plot rolling now that we have had all the re-union stuff. Has anyone noticed all the big houses are so fucked in the show? They talk about how all these smaller houses have followed the Starks, Lannisters, Martell's, whoever for years and now they're all pretty much done. Some are dead like the Tyrell's and Freys (I think) and some have no more children to continue the line like the Starks and Lannisters. So, like who the hell becomes the great houses of GOT in the future? anyone think we see meera and howland reed before it's all over? he should be the one that tells the story to Jon..
Two people I am waiting for. I doubt Howland Reed shows up with 5 episodes left. I think he's cut for time. Surely the Vale is going to show up again then? The character who plays sweet Robin is still listed in the show for the season so I'd guess the Vale does show up again. Maybe it was just the incredibly higher budget but only 6 episodes feels so rushed compared to the last few seasons. Clarification of poorly structured sentence. Yeah I was assuming a strong gust of wind killed him already. I was wondering what happened the last time the White Walkers came. It seems weird we don't have a motive yet and they've already came down before. Why did they leave? Unfortunately, the newly formed Night’s Watch nearly failed in their new quest almost immediately (or, at least “immediately” in the grand scheme of 8,000 years). The 13th commander of the Watch fell in love with a mysterious woman with pale blue eyes and icy skin, widely believed to be a female White Walker. After making love to the woman, the Commander’s soul was bound to hers, and he returned to the Watch to place his men under their thrall, declaring themselves their King and Queen and committing countless atrocities. When it was discovered that the Night King was making sacrifices to the Others beyond the Wall, the Free Folk and House Stark made an alliance to defeat the King and his forces. 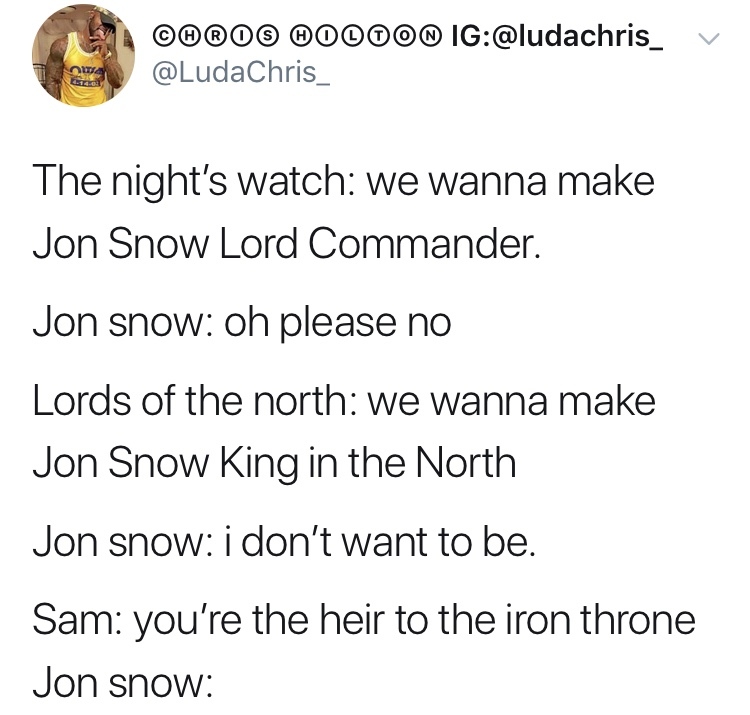 When the Night’s Watch resumed its duties following their victory, the Commander’s name and history was stricken from their records, cast aside and forbidden to be spoken of ever again. Up until the recent events of Game of Thrones, it would be the last time the Others would threaten the peace of Westeros for thousands of years.